Washington, D.C. – Chairman Raúl M. Grijalva (D-Ariz.) today introduced the Save Oak Flat Act, which cancels a mandated land swap that threatens the sacred Apache Leap site in central Arizona with environmental damage from nearby high-risk copper mining. Sen. Bernie Sanders (I-Vt.) is introducing a Senate companion. The House version is available online at http://naturalresources.house.gov/legislation/bills/save-oak-flat-act-. The bills reverse a provision in the National Defense Authorization Act of 2015 that granted ownership of a U.S. Forest Service land parcel in Arizona known as Oak Flat – which was withdrawn from mining consideration by President Dwight Eisenhower – to a mining company called Resolution Copper, which is co-owned by international mining conglomerates Rio Tinto and BHP Billiton. The 2015 measure transferred a separate parcel owned by Resolution Copper to the Forest Service in exchange. Neither the Forest Service nor the Republican majority in Congress consulted with the nearby San Carlos Apache Tribe before the measure became law, and the mining project has nothing to do with security or national defense. Even before the 2015 defense bill was passed, Resolution had announced its intention to build a block cave mine on its newly acquired land, which has been home to medicinal plant and acorn gathering and traditional religious ceremonies for centuries. 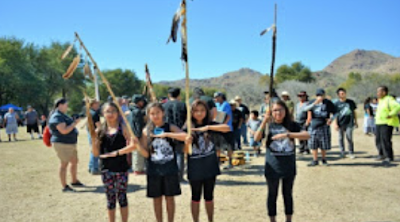 The project would severely damage the environmental and cultural value of the area, which is directly adjacent to Apache Leap, an especially sacred site where Apache warriors being pursued by U.S. cavalry leapt to their deaths to avoid capture. The mining project is currently undergoing review through the National Environmental Policy Act. "Giving away sacred Apache land to international mining companies isn't right, and everyone involved in this decision knows it," Grijalva said today. "As Chairman, I'm proud to join my friends in Congress fighting this attack on sacred lands and Tribal sovereignty. We need to protect Oak Flat and restore some balance to our country's natural resource policies. Congress passing this bill would be an important step in protecting sacred lands from outside hands." "On behalf of the San Carlos Apache people, we deeply appreciate the efforts of Rep. Raúl M. Grijalva and Senator Bernie Sanders in re-introducing the Save Oak Flat Act," said Chairman Terry Rambler of the San Carlos Apache Tribe. "We urge Congress to pass this legislation to save the Oak Flat area in the Tonto National Forest from destruction by foreign mining companies. The Oak Flat area, listed on the National Register of Historic Places as a Traditional Cultural Property, is sacred to not only the San Carlos Apache Tribe but also other tribes in the region whose significance has been documented in ethnographic and ethnohistoric studies. Our cultures and traditional ways of life were put in jeopardy when this special area was transferred to these mining companies in a secret back room deal without regular order or any transparency. The activities of these mining companies will also deplete the already scarce water resources in the region and will not create even a fraction of the jobs they claim." "Too many times our Native American brothers and sisters have seen the profits of huge corporations put ahead of their sovereign rights," Sanders said today. "It is wrong that a backroom deal in Washington could lead to the destruction of a sacred area that is so important to so many. 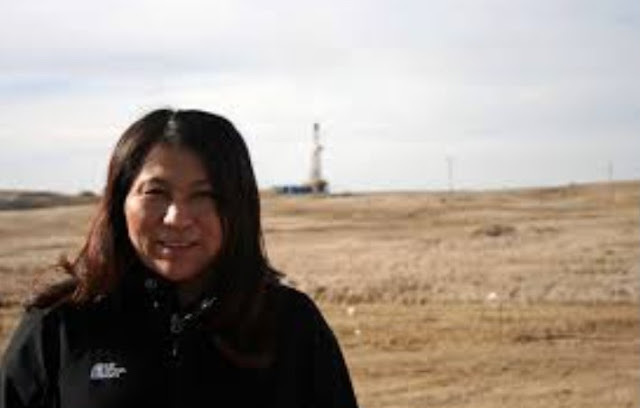 We must defend the hundreds of thousands of Americans who are standing in opposition to this giveaway of our natural resources to foreign corporations." "I stand with Native communities and everyone fighting to protect Oak Flat's sacred land and natural resources," said Sen. Elizabeth Warren (D-Mass. ), who cosponsors Sen. Sanders' bill. "The Save Oak Flat Act will undo this destructive land swap, respect tribal rights, and help preserve Oak Flat for future generations." The House bill is cosponsored by Reps. Pete Aguilar (D-Calif.), Derek Kilmer (D-Wash.), Matt Cartwright (D-Pa.), Earl Blumenauer (D-Oregon), Diane DeGette (D-Colo.), Chellie Pingree (D-Maine), Alcee Hastings (D-Fla.), Alexandria Ocasio-Cortez (D-N.Y.), Walter Jones (R-N.C.), Markwayne Mullin (R-Okla.), Grace Napolitano (D-Calif.), Gregorio Sablan (D-CNMI), Ben Ray Lujan (D-N.M.), Suzan DelBene (D-Wash.), Norma Torres (D-Calif.), Jimmy Gomez (D-Calif.), Tony Cárdenas (D-Calif.), Ruben Gallego (D-Ariz.), Betty McCollum (D-Minn.), A. Donald McEachin (D-Va.), Raul Ruiz (D-Calif.), Tom Cole (R-Okla.), Deb Haaland (D-N.M.), Ted Lieu (D-Calif.), Gwen Moore (D-Wisc.) and Denny Heck (D-Wash.). The Senate bill is cosponsored by Sens. Warren, Cory Booker (D-N.J.), Ron Wyden (D-Oregon), Jeff Merkley (D-Oregon) and Martin Heinrich (D-N.M.).